The indulgent taste and texture of real whipped cream, minus the dairy! 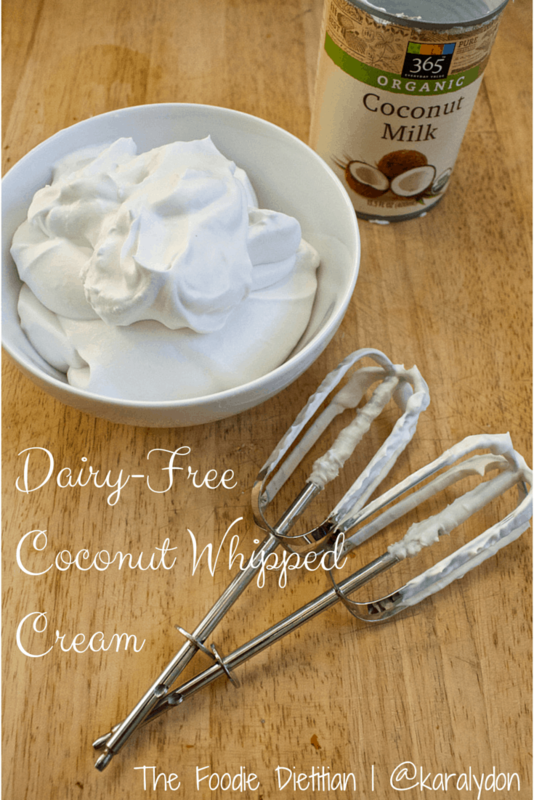 Dairy-free coconut whipped cream is the perfect dessert topping for vegans, lactose-intolerant, and coconut lovers! In case you didn’t already know, I’m kind of obsessed with coconut. Ok, maybe kind of is an understatement. I talked about coconut and its health benefits after I devoured lots of coconut (water, milk, cream) in Thailand. 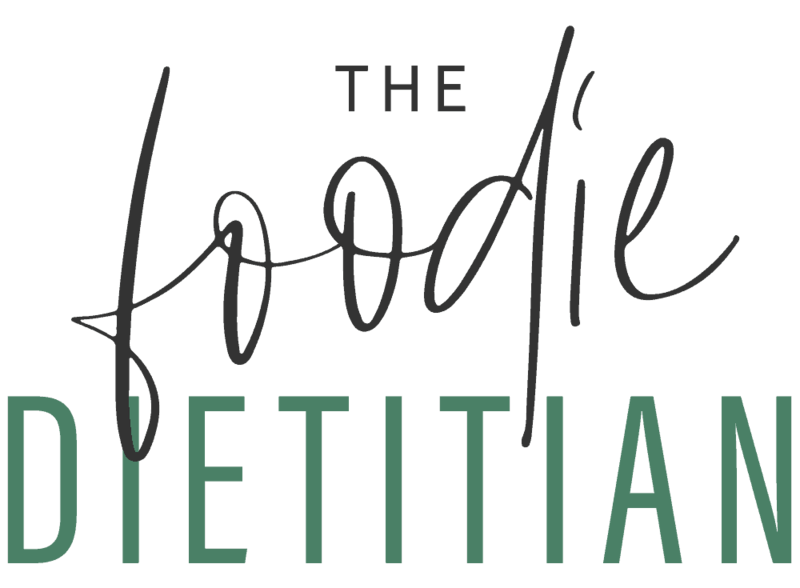 I love using coconut milk in my smoothies and try to incorporate coconut oil where I can (like in my No Bake Almond Joy Bars). I’ve been seeing coconut cream pop up more and more lately (and most recently in Kristina’s almond butter cream recipe) and felt ashamed. How can a self-proclaimed coconut-obsessed gal like me NOT have tried coconut cream before?! So, I decided I should probably make some. Self-imposed challenge accepted. 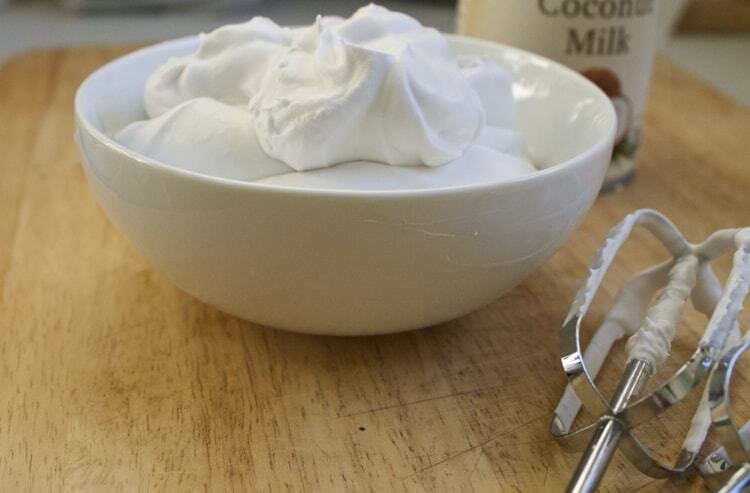 The indulgent taste and texture of real whipped cream minus the dairy! 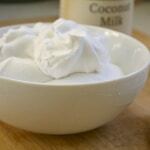 Dairy-free coconut whipped cream is the perfect dessert topping for vegans, lactose-intolerant, and coconut lovers! Store the can of coconut milk in the fridge overnight (and flip it upside down before storing – trust me). Place a medium-sized mixing bowl in the freezer for five minutes or so before you’re ready to whip the cream. Open the can of coconut milk and discard the semi-clear liquid that’s sitting at the top (save this for smoothies, etc. later). Depending on the brand, you may be left with hardened cream or thick white milk. Add that to the mixing bowl and using an electric mixer, whip until stiff peaks begin to form (about 5 minutes). 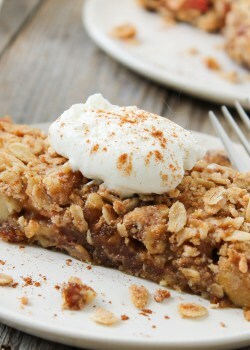 Optional: Add maple syrup to sweeten and whip to combine. From what I’ve read, some brands of coconut milk work better than others for this. Try to avoid brands that have fillers and stabilizers like guar gum. Steve picked up a can of organic coconut milk from Whole Foods and it contained guar gum. I think this is why I was left with thick white milk and not hardened cream. Either way, the end result turned out just fine, so don’t worry if you don’t have hardened cream when you take it out of the refrigerator. 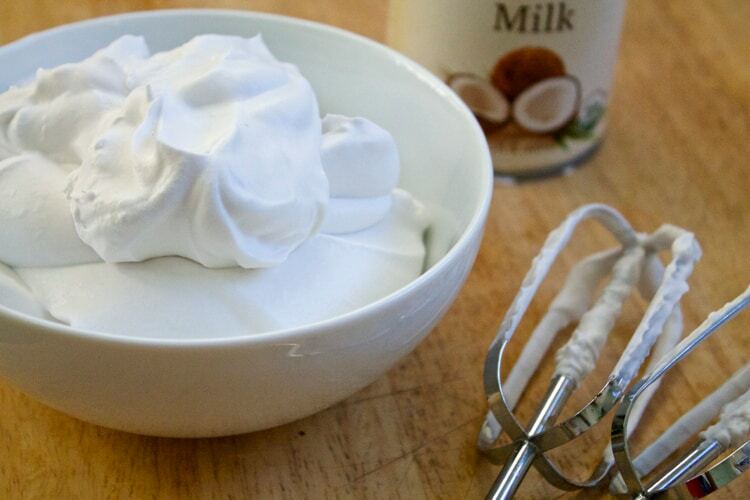 I have a hunch that I’ll be using this coconut whipped cream on just about everything. 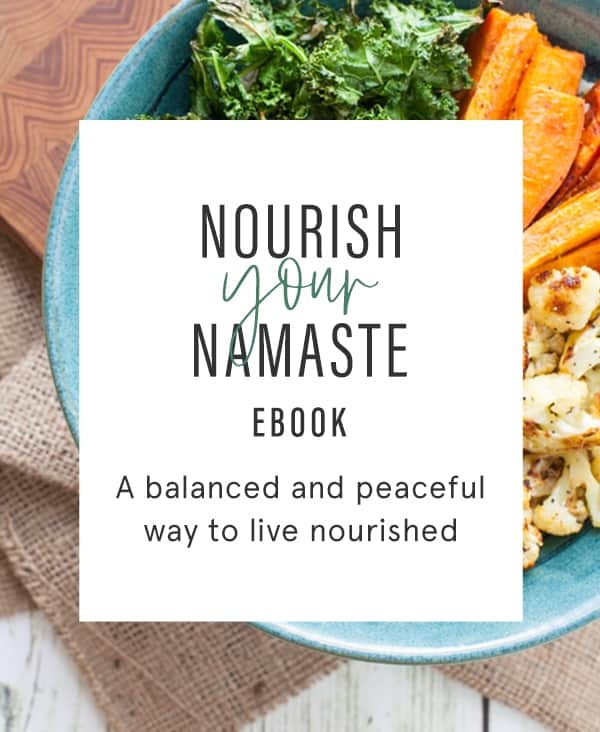 In case you’re racking your mind trying to figure out what you could dollop this deliciousness on top of…I’ve got a recipe to share with you on Thursday that I have this funny feeling you’re going to fall for. Need more reasons to add this wonderful whipped cream into your life? 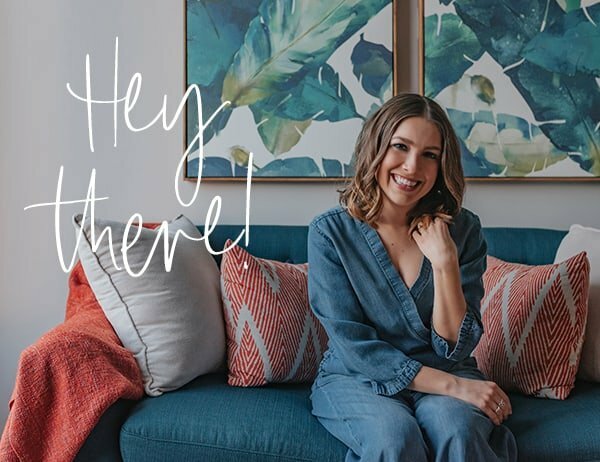 Thanks Kara,Our 4 year old can now enjoy whip cream with the rest of us .Our little sweet girl can’t eat Egg ,dairy, or nut products.If you have more delicious recipes please post them.Many,Many thanks…. Thanks, the sight of it taste yummy. I LOVE coconut cream! It’s so good. I love topping my smoothies with it! I LOVE THIS! I don’t ever have whipped cream around the house because I find store-bought ones to be too sweet. This looks perfect for my tastes! I’m so glad I stopped by for this recipe. 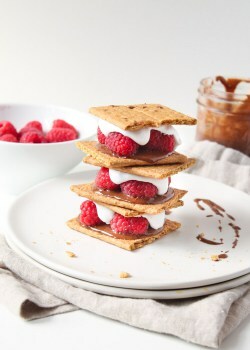 I have a friend who can’t eat dairy, and the next time she comes for dinner, I’m making this for dessert! Pinning now! !